The best selling Beyond Paycheck to Paycheck started the conversation to help you break out of the financially straining lifestyle of living paycheck to paycheck and actually build wealth! 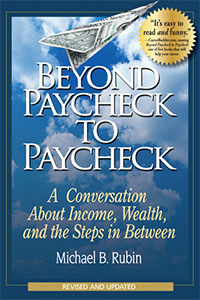 Find out more about Beyond Paycheck to Paycheck and learn why CareerBuilder.com named it one of the best books to help your career. 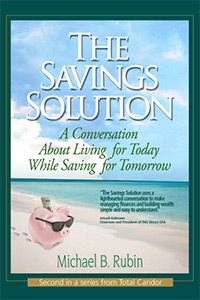 The conversation continues in The Savings Solution, making the frequently avoided topic of saving come alive. With real savings strategies that are practical and don't require you to budget yourself to death! Find out more about The Savings Solution and why experts say it makes "building wealth simple and easy to understand."